To celebrate the release of his album, Lamp City, today, Cam also gave us this music video for Truckers. The song appears on Lamp City and features Jeff Replay of Boston collective Pilot Nation. Truckers was definitely one of the standouts from Cam’s album. The hook is unlike anything I’ve ever heard, the verses are sick as usual, and Cam produced the beat himself. The beat has Cam’s traditional feel, but it also seems a little different, almost as if it’s more in your face. The music video is cool, too. I find it awesome that a lot of Cam’s music videos are just him hanging out and having fun with his friends; it makes him that much more real, relatable, and humble. Everyone be sure to pick up a copy (or 5) of Lamp City. Last night at midnight, Cam finally dropped his debut album, Lamp City. I have not heard the whole project yet, but what I have heard so far is exactly what I was hoping for: extremely real and relatable raps and Cam’s nice flow over solid production. Only three songs on the album have features, which come from Stizzy, Jeff Replay (twice), and Skizzy Mars. It’s really impressive that Cam could put out a 14-track effort with only three features, and I love that we get to hear more from Cam himself as a result. He also handled a lot of the production on his own, which again deserves major respect in my opinion. This is an incredible debut from a truly great artist, and I encourage everyone to give it a listen and download Lamp City on iTunes here. Cam released this song a few days ago, and yesterday he released this music video to go with the single. After listening to the song more, I think it is the best cut we have heard off of Lamp City so far. I also liked the video; it’s simple but I always appreciate artists who look like they’re having a blast hanging out with the people who have supported them since the beginning. Lamp City drops on May 21, but I encourage you all to go preorder the album here now. Cam released yet another new song off of Lamp City today. The amount of music he has been putting out lately is understandable since I’m sure he is trying to build a lot of hype for the upcoming album, and I’m not complaining. This new song deals with Cam’s music journey with his team/family. It’s really a relatable song and I think it’s really cool that he made a song like this. Cam was once again involved with the production for the song, and it’s awesome just like the last few songs he’s produced have been. Everyone check out Lamp City Family at the link below, and be sure to purchase Lamp City on May 21. 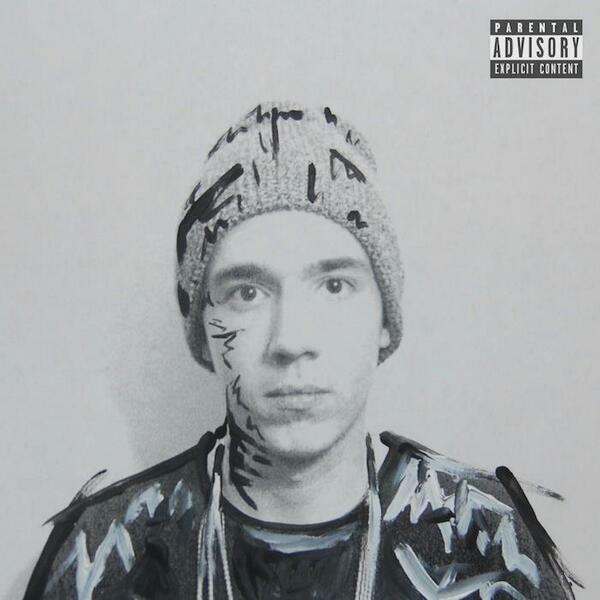 Cam Meekins released this new song today. He has been releasing a ton of new music lately, and it is getting me REALLY excited for his upcoming album, Lamp City. Even though Cam says that there is “no concept to this” song, it still is incredibly real and relatable. 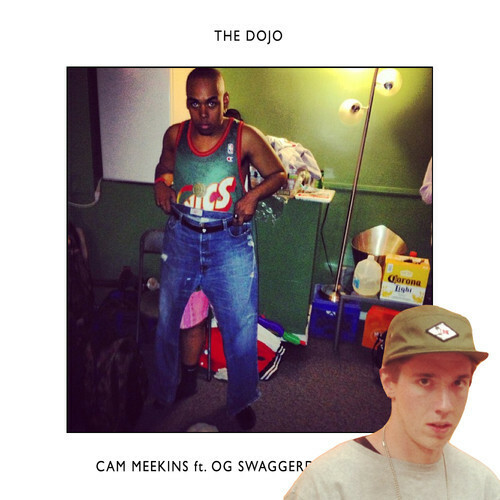 The song features Cam’s friend and fellow rapper OG Swaggerdick. His verse is also pretty cool, and it’s nice to hear the two of them finally release something together. Cam handled the production himself, which basically makes me respect the song twice as much since he must have put twice as much work into it. Check the song out below, and head over to iTunes to pre-order Lamp City before it drops May 21. ILLogicalHipHop is proud to announce a new partnership with EDWD, a great young up-and-comer. Far from a “traditional rapper,” EDWD is a 16-year old suburban white kid (I personally don’t think race should matter in rap, but I’m just pointing out that EDWD breaks the mold of a typical rapper) similar to the likes of Cam Meekins and Watsky. Despite his young age, EDWD has already released a ton of material, including two projects in the last five months. Even more impressive than the quantity of music he puts out is the high quality of that music. EDWD is clearly very intelligent, and the meaning and lyricism of his tracks can’t be matched by many rappers twice his age. I’m really excited to see what someone who is so good and still so young will be able to accomplish in the future. Right now, EDWD is releasing a new song every Friday as part of a Faded Fridays series. I encourage you to check those out here or on YouTube every week, and be sure to check out EDWD as many ways as you like below. Cam released a new song today called Judge, and he also gave fans the video to go along with the track. The song is great; the lyrics are on point and it’s a classic Cam Meekins beat. I love how honest and real Cam seems when he raps. The video of him just hanging out and having fun with his friends and his girl really complements that well. For those that don’t know, Cam is releasing an album, Lamp City, on May 21. Head over to iTunes and preorder it now!